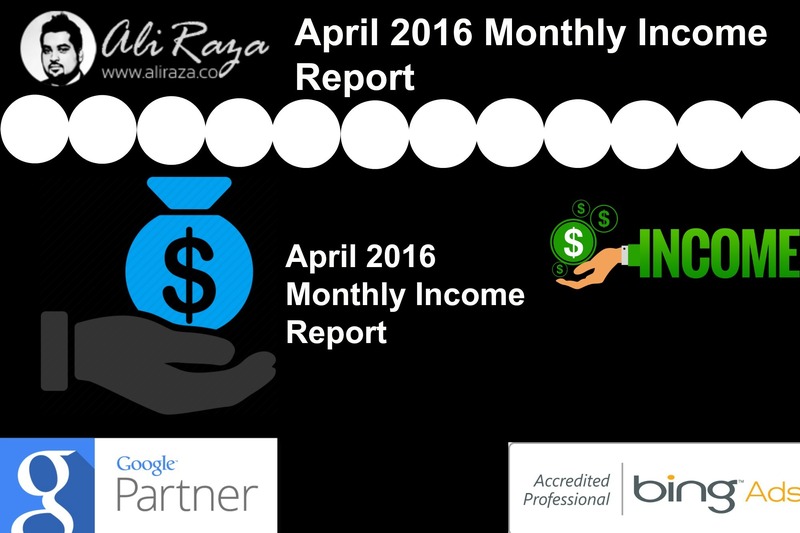 Welcome to the April 2016 Monthly Income Report for AliRaza.co. This is the 7th Monthly Progress Report of this Blog. The purpose of Monthly report is to review the amount of work I do every month, along with website, social media and subscribers statistics. In other words, I critique the performance of myself and my blog every month to see where i’m standing. 2 Posts Created In The Month of April, 2016. 6 Comparison with the Month of March 2016. 21 Plans for May 2016. As with everyone, I do some changes on the website to improve the user experience. I feel improving user experience is an on-going process because there is always a room for improvement. This month, i have installed an External Link Plugin. This will enable all the external links to be appeared in new window. I’m experimenting this feature currently and will let you know how does it affects my website. I have also updated my about me page. I have uploaded few of my certifications and events highlights their too. Posts Created In The Month of April, 2016. 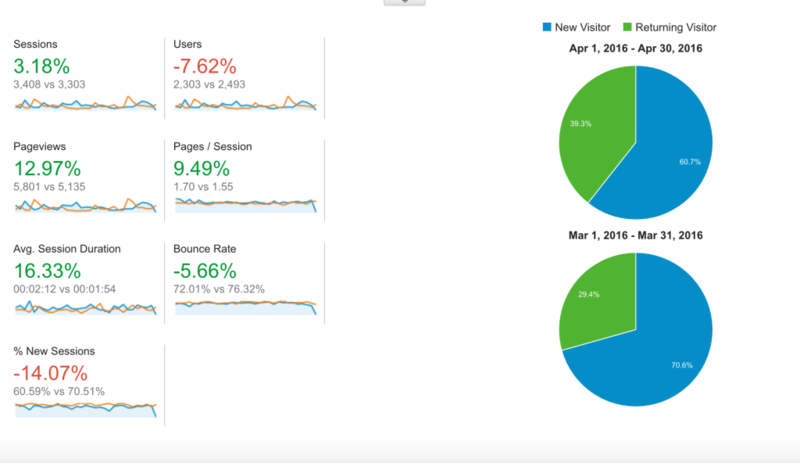 March Monthly Report was the regular monthly report last month, where i discussed the usual strategies, website tweaking, along with traffic, stats and revenue details. A Beginner’s Guide to Social Media Success in 2016. Then I had a complete detailed guide on Social Media. From brands to celebs, startups to entrepreneurs, everyone seems to be under the magic radar of social media. This guide may help you if you are starting out with Social Media. I know Fiverr is a big market, most people are winner there. But do u know that it takes 20% of your income? I mean 20% is a big money and then there are people who never rely on a single source of income. This post is written for all those people who are looking for options other then Fiverr. Youtube is the 3rd most visited website on Internet. Everyone is on Youtube, but wait, let me tell you that there are hundred more other video websites as well?. According to a survey, more and more brands and startups are now focusing on producing video content. If you haven’t yet started the game, it’s never too late. Follow this complete guide for Video Marketing. How To Make Money Online? – My complete guide of 15000 words on discussing many strategies which you can use to earn money online and start your online career. This is the follow up article regarding Video Marketing. If you are a brand, business owner or a freelancer, this is going to be an awesome read for you then. Online Advertising Industry is slowly becoming one of the Huge Industry in World, specially in I.T. and Marketing Sector. Starting out with ClickBank? or already earning money through it? Looking to learn how does Click bank works and what are the methods through which you can earn money from Clickbank. Do check it out. 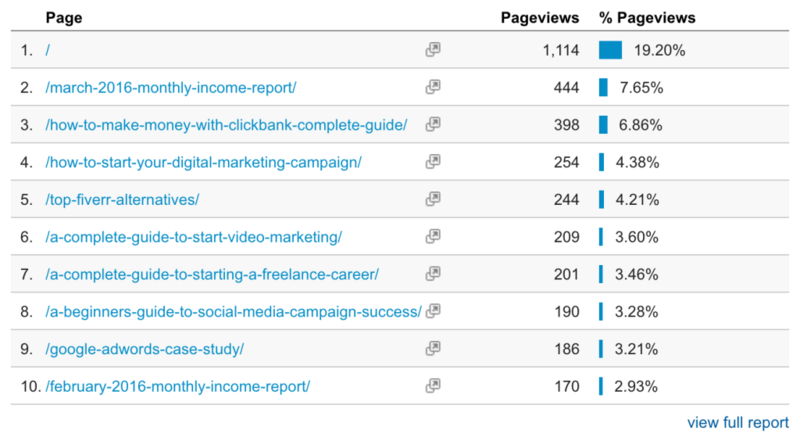 Analyzing the Traffic Statistics is a great way to measure how does your blog perform as compared to last month. I do this every month to see where I’m standing. If you are not doing this activity yet, I suggest you to start critiquing your web statistics, as it’s a great way to find out, how you are performing. If you have just started your blogging venture, then rather focusing on earnings, your core focus should be on traffic stats, having more subscribers over Email and Social media. 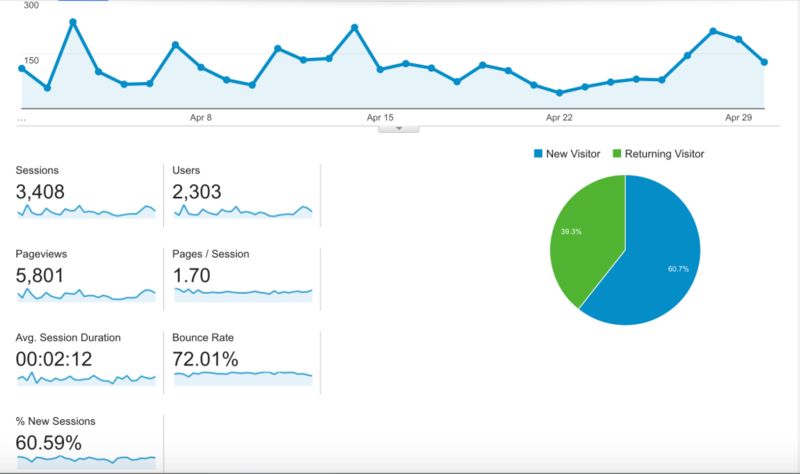 Here are the traffic stats for the Month of April, I received a total of 2303 number of unique visitors and 3408 Sessions in the last month. 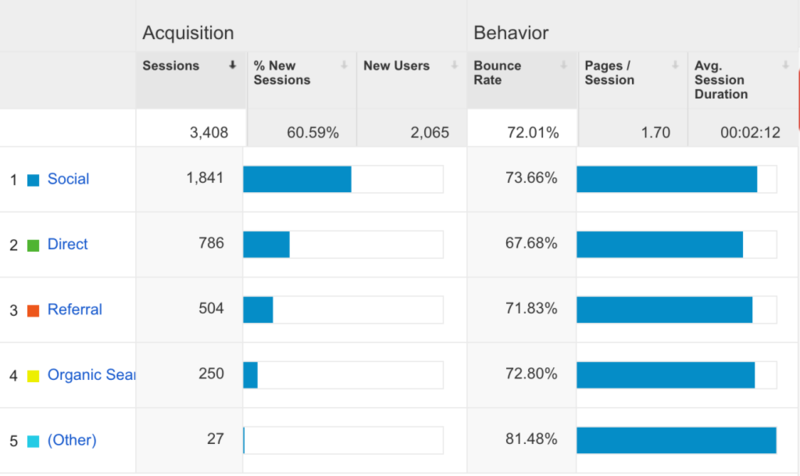 For a revision, the number was standing at 2493 Unique Visitors with 3303 Sessions Last Month. Let’s have a look on the traffic sources to get an idea on what are the top traffic acquisition sources for this blog. Comparison with the Month of March 2016. Happy to see Most numbers in green, but the number of users have been dropped slightly. Im sure i can overcome this, in next month. 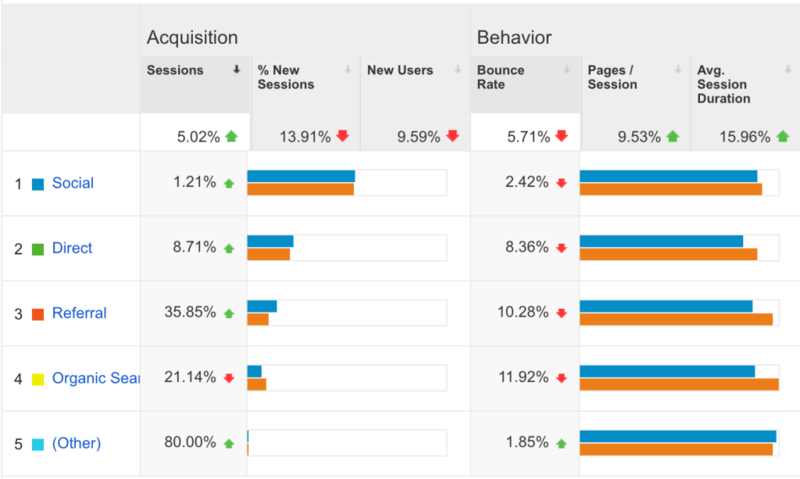 Average Session duration and bounce rate both produced a positive trend. With the average time increasing to more then 2 minutes, i can surely feel the power of a plugin which lets external links on your site to be opened in new windows. The Social Media is a top channel for traffic acquisition as always. The Search engine traffic went down slightly. There was a significant increase in referral traffic, I will credit this to forum commenting and blog commenting i’m doing to increase the visitors, I hope they are turning into returning visitors. If we look closely to traffic acquisition channels, all showed a positive sign except the search engine and i hope the decrease is temporary and search engine traffic will rise again. The March Income report has mostly been viewed. These monthly reports are helping me in turning the visitors into monthly readers. The Complete guide to Making Money with Clickbank came on second, followed by a Guide on How to Start Your Digital Marketing Campaign. Facebook – 3474 (Last Month, I was at 3431.) +43 This Month. Google Plus – 233 Followers (Last Month I had 216 Followers) – +17 This Month. Twitter – 406 Followers. (Last Month i had 454 Followers) – -48 This Month. Pinterest – 352 Followers (Last Month I had 331 Followers) – +21 This Month. Same like last month, the twitter showed a decrease, which is quite strange thing, hopefully the trend will improve this month. Let’s have a look on the traffic I received from Social Media Traffic, last month in April. Facebook won the show again but this time, 89% of traffic accounted from Facebook. Linkedin Traffic was decreased if you compare it with the last month. Google Plus & Twitter traffic also went down. In April, I was mentioned at : MatthewWoodWard – Income Round Up. Thank You Matthew For Your Support. I really appreciate. I was also featured at Marjan’s Blog. In Top freelancers – Session One. Thank you Marjan. From Last Month, I have started featuring one or two top questions asked from me. If you have a question to ask from me, You can contact me and I will be happy to feature it too. Question Of The Month : I have recently started freelancing, I have got few orders from Fiverr. I’m looking forward to diversify and build additional streams of income, what you will suggest to me? Answer : First of all, congratulations for choosing Freelancing as your career, I have best wishes you for ahead. There are two angels for your question. If you are thinking to expand your income streams via additional skills, then I won’t recommend it until you become the master of a particular skill. However if you are good at outsourcing to others you can consider this too. The other angel is to look for other freelancing websites and oppurtunities. For sure, you can consider looking at other freelancing websites such as PPH, Upwork and others. You can also consider providing white label solutions to different companies to re-sell your services with their branding. Additionally You can also consider networking and socializing to generate more work. Do checkout the complete guide to social media success and complete guide on freelancing. 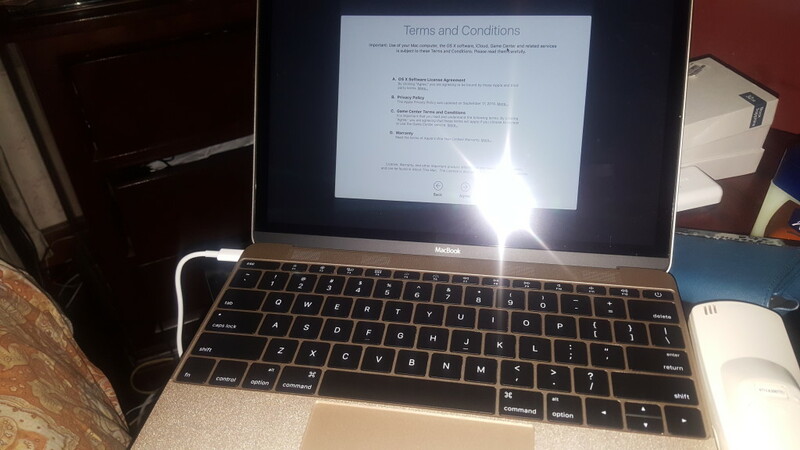 I have also bought the New Macbook Last Month. 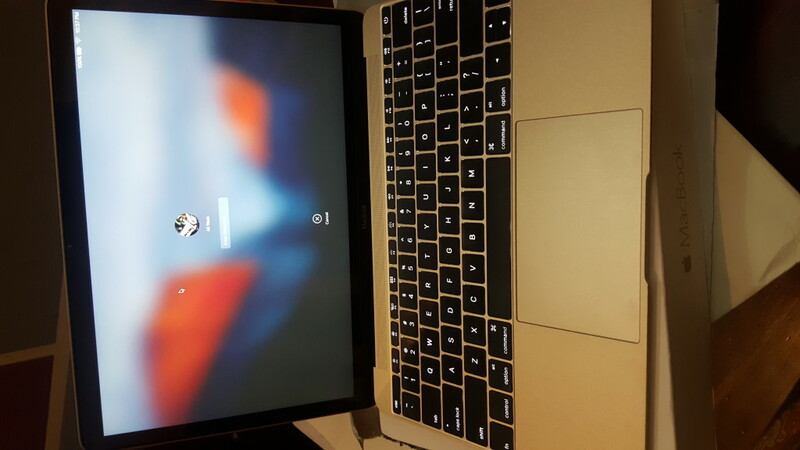 It has a Core M Processor with 8GB RAM and 256GB SSD Hard Drive. 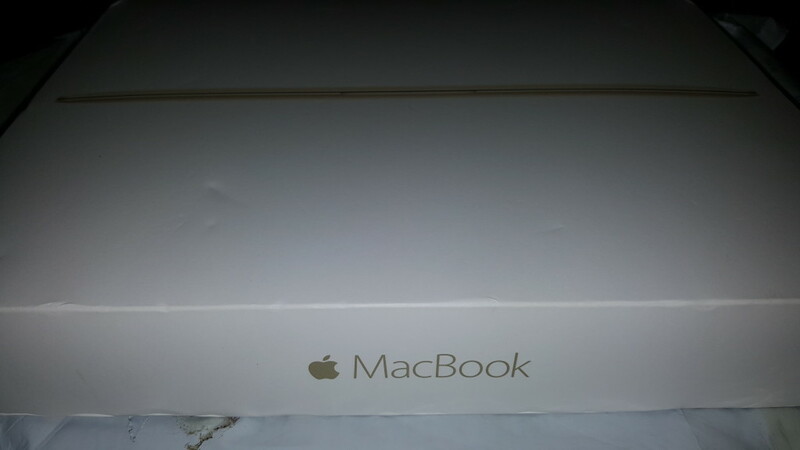 This is my second Macbook. 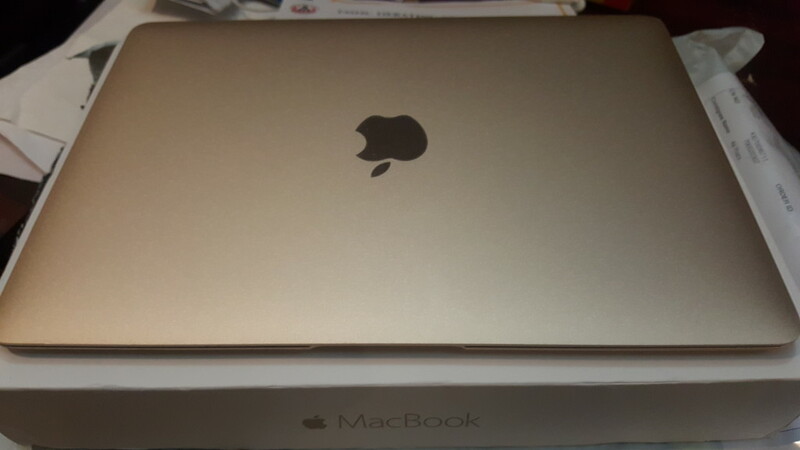 For those who don’t know, I’m in obsession with Macbook since 2013. From this month, I will keep on writing every month about my Udemy Journey. 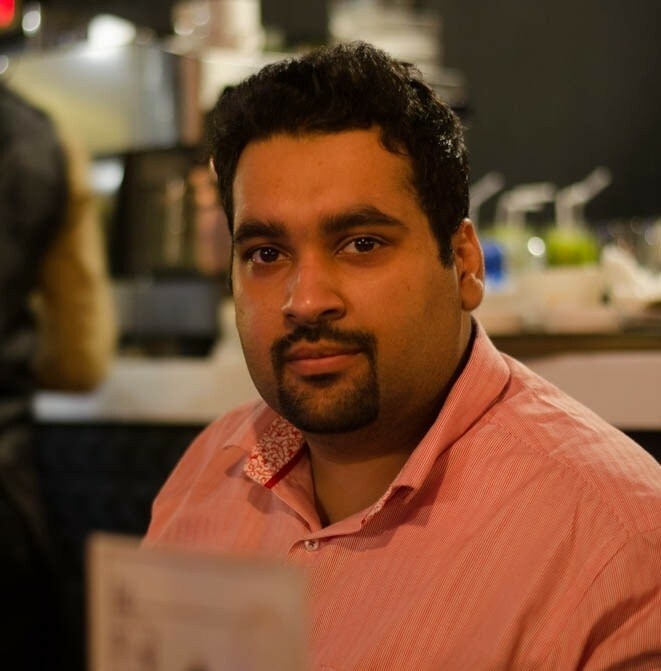 For those who don’t know, I’m planning to make one course a month at Udemy related to Digital Marketing. Hopefully my first course will be published somewhere in June. It will be about Google Adwords. Finally we are on to the income segment. The results for different programs are as follow’s . SEMRush was recurring from the same person who signed up two months ago, I also had few more trial signups so let’s see how do they turn out. This month, I have earned a total of $150 from Digital Marketing Customers which i got through this blog. Please keep in mind that I do have an online advertising agency as well but i keep their earnings separate. I spent $50 on Facebook Ads. So the total expense were only $50. The total income will be $27.98 + $150 -$50 = $127.98. P.S. Just for a re-cap, it was $427.98 last month, so it’s a negative trend. I hope things will improve in May. Goal Checkups are some sort of motivation for me. I keep a check every month to see what I’m doing with my blog. Last month, I had few goals for April, Let’s see how much successful I was on them. I have an upcoming Business tour to U.A.E and Malaysia this month, So i’m expecting to have a very very busy schedule. I will make sure to write at least 5 posts this month. I’m also in contact with few sponsors, hopefully at the end of May or possibly in June, I’m looking forward to a big contest on this blog. I need to do guest posting for outreach purposes. I also plan to keep on doing the blog commenting to gain more readers. I’m also planning to write an ebook to increase email subscriptions. As always, I’m open to criticism, what are your thoughts on my blogging strategy? How did you find this report? Did i miss something? What do you want me to add in my monthly reports article? Every appraisal and criticism is welcome here, please do comment on what you think. Great to see your results. Keep on rocking dude. Thank You Naven. Glad that you like it. I landed up here from one the tweets from Mathew Woodward and I am extremely impressed with your contents in the blog and.Looking forward to read more posts from you and more interections in future. Thank you so much for such a motivation post. I know many will be looking the figures that they are really but I believe in small seeds because that is what really grows compared to the large ones that do not really grow. Thank you Solomon! Looking forward to more contribution from your side.